X marks the spot in this treasure hunt challenge. This challenge is a little different from some of the ones we’ve seen recently. You’ll need to be able to see the Treasure Map loading screen to find this Battle Star. 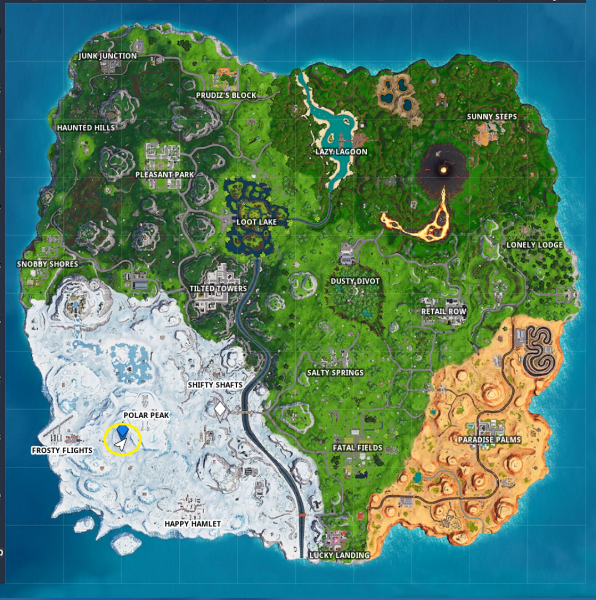 The location you’re looking for is between Polar Peak and Frosty Flights. There’s a little statue on the treasure map that’s surrounded by trees. 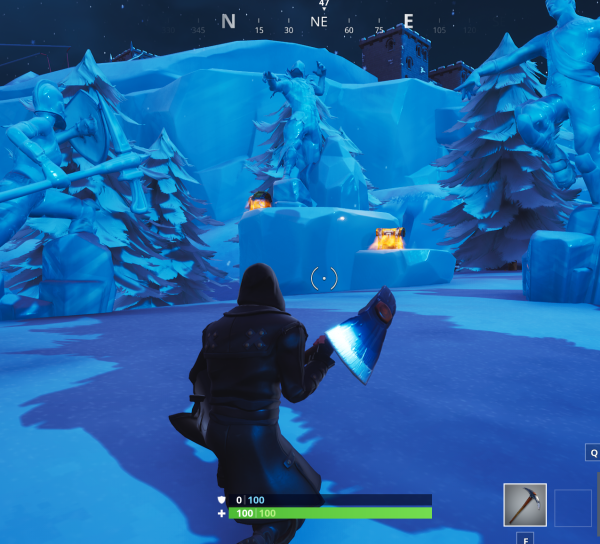 If you head Northeast from Frosty Flights you’ll a circle of trees with three statues in the middle. The Battle Star is at the feet of the largest statue. Easy peasy!